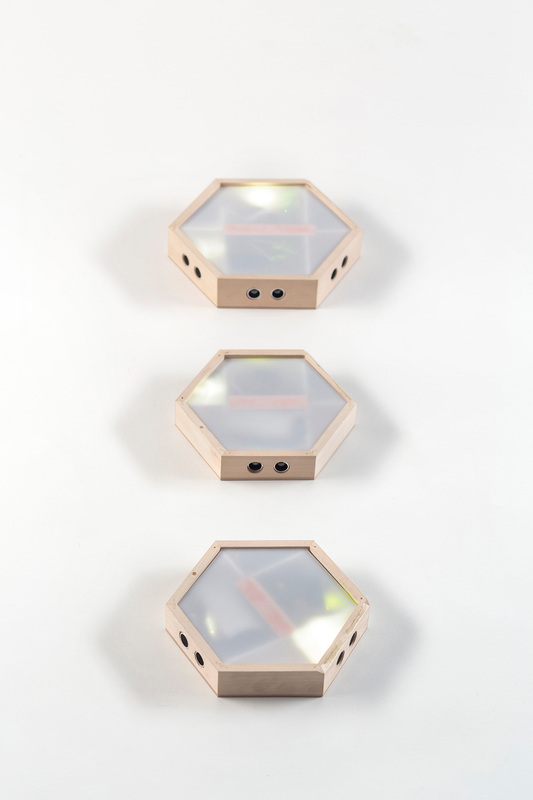 "Musi allows to hear the sound of environment." Can you guess what are the sounds of your surroundings? How does it sound? In some cases it’s easy - by hearing its ambient voices, but can we think about space around as something that has its melody? How can we, for example compare mess and order in abstract, musical way? 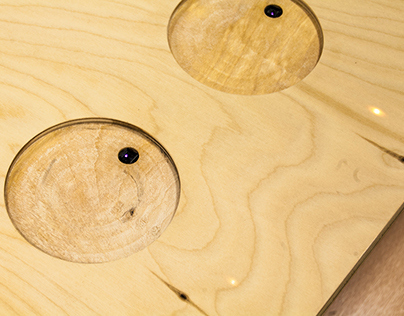 Musi is an experimental audio device which brings physical arrangement and its harmony into musical world to answer these questions. 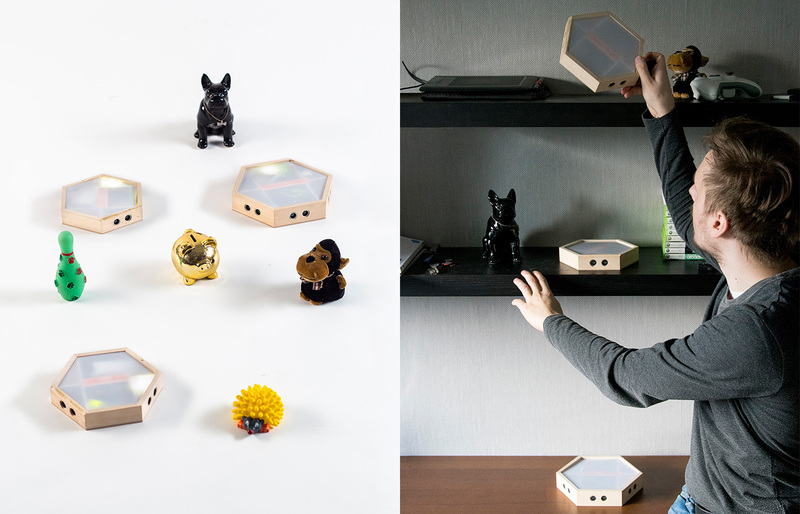 Playing with Musi is as simple as moving random object around or placing the sonar-like wireless modules in different locations. The more modules are involved, the more people can participate. It’s possible to search for musical harmony with completely different elements in uncommon areas. Actually, everything can become a part of this unique instrument. 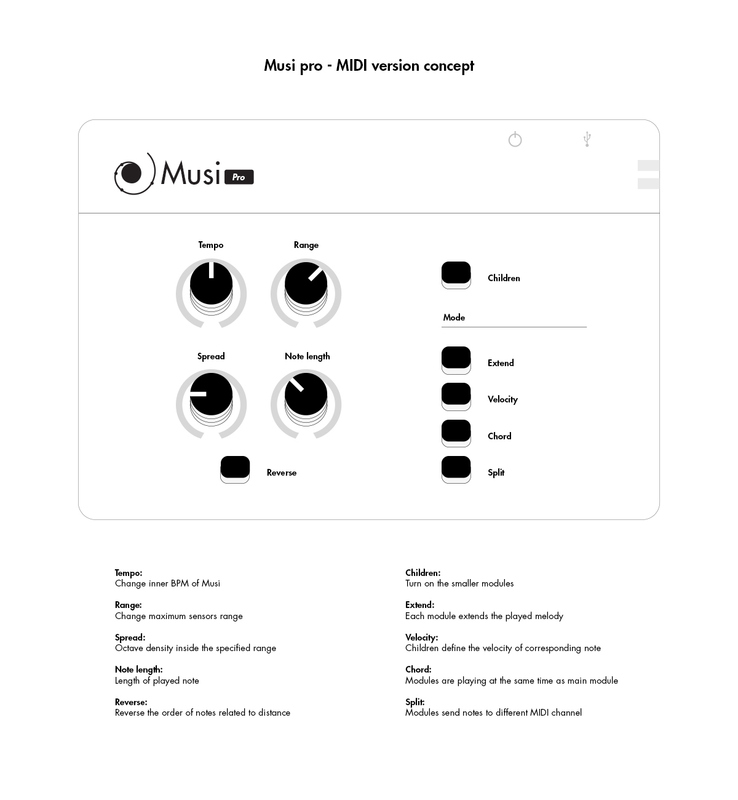 With Musi you can not only hear the relativity between objects but you can also learn basic fundamentals about music composition. Initial inspiration for the project were creative learning techniques and the fact that learning process is related to correlation between mind, body and its actions. We perceive and learn through acting in the physical world. Everyday experiences and their meaning are embedded in the world around and can be redefined. In this case, while manipulating objects around us - by acting through them we give them a new, embodied musical meaning in their melody. The new affordance to manipulate the object is the melodic layer of its meaning (Normally, we don’t think about moving something to affect sound composition). Great project that inspired me the most was Cubetto by Primo. Its abstract, screenless way to teach children programming is great example of embodied interaction and creative learning. Observing effects of project’s interpretation raises inspiring conclusion: the more tidy area around is - the less harmonic is its melody. 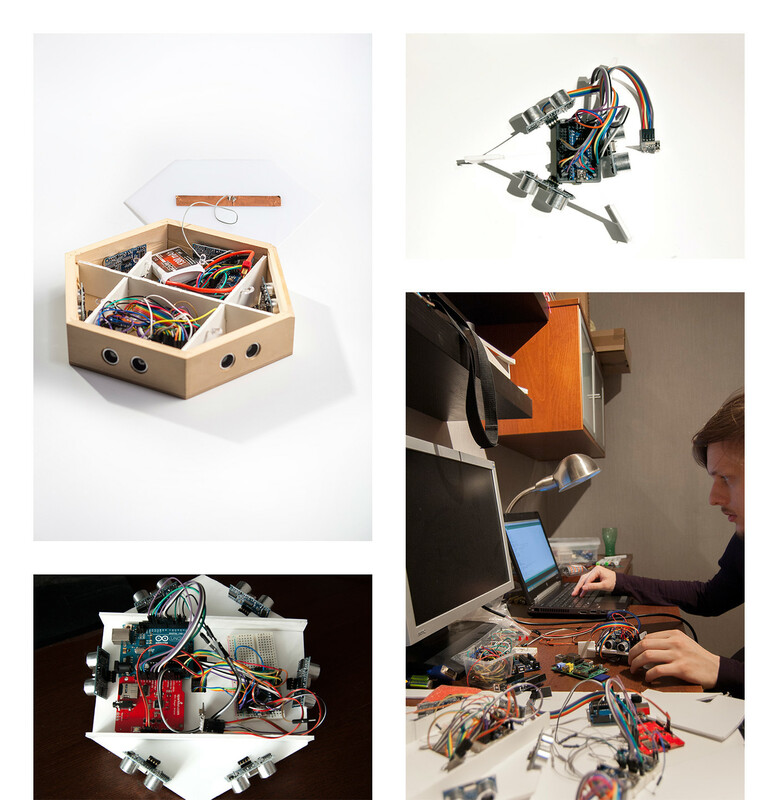 Musi can describe an octave geometrically as a spiral of objects, moved away from the device. Another inspiring question arises... How many meters long can octave be? The relation between distance and note pitch are explored further in extended MIDI version. Changing sensors range and octaves density can result in changes in melody which are unachievable with other instruments. Great feature is dividing modules into different instruments and playing the complete composition, for example - by placing each module on different shelf and playing their melodies. In conclusion, the main goal of Musi is awareness of sound composition by abstract music learning and physical manifestation of melody. 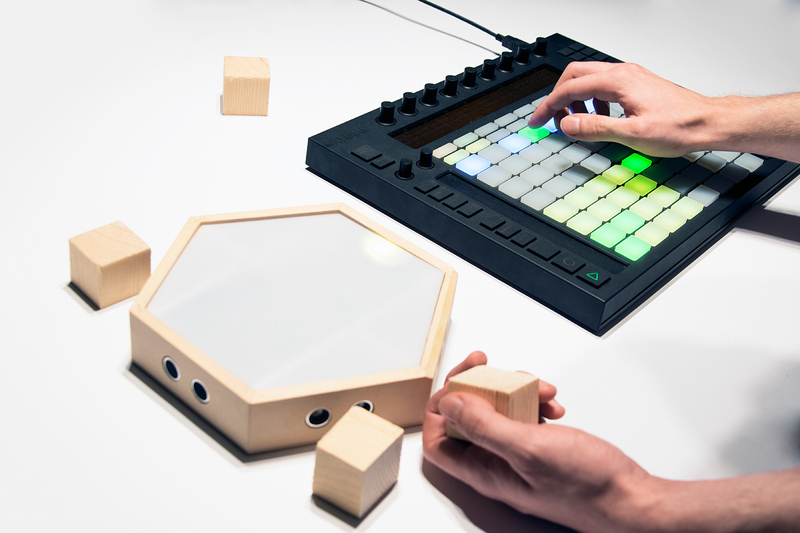 It’s an instrument for everyone - from creative toy for children, interactive installation to experimental instrument which can be used along with any music production software. In any context project gives satisfying results. Another interesting concept is interactive activity for blind people - to explore space by its sound. Musi is a part of my graduation at School of Form (Communication Design, 2015). The theoretical thesis was titled “Embodiment - the meaning of body and space in interaction between virtual and real world”. Musi Pro is extended version with new features and redesigned receiver module. 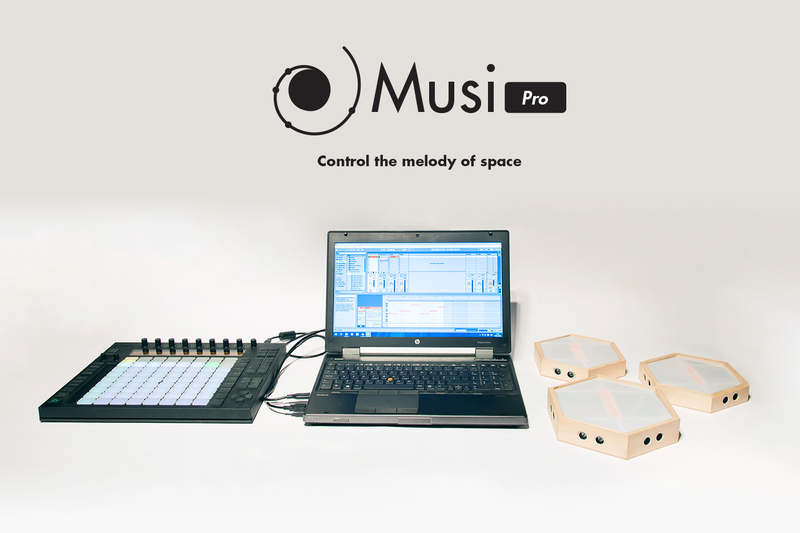 Musi Pro can be used as MIDI controller in any music production software. The new receiver can manipulate the melody so user can freely play desired sounds. The geometrical music notation with Musi can describe octave as a spiral of objects. The diagram below explains how device works. Circle is theoretical mental model of single module.